Announcement i'm told it's wedding season...10% off $50+ with code "IDO10"
i'm told it's wedding season...10% off $50+ with code "IDO10"
The dark color of this elegant spoon contrasts beautifully with matcha powder. I received the knife and it is so beautiful. What a nice heirloom piece this will make for our family. A special knife to make PB&Js & spread butter for my grandson. Thanks for the nice heartfelt handwritten note that you sent with the knife. I can tell lots of love goes in to your work. I love my little scoop! It’s so beautifully made and I love the unusual shape of the handle. The seller did such a nice job packaging the item and included a lovely note with care instructions. I’m so pleased with my purchase. japanese yew knife + osage orange spoon. now in the shop. Behind the scenes. 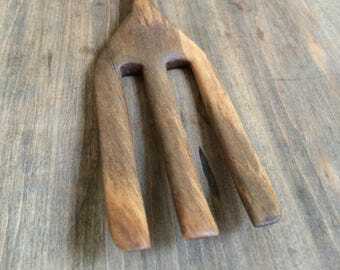 Osage, walnut, teak. 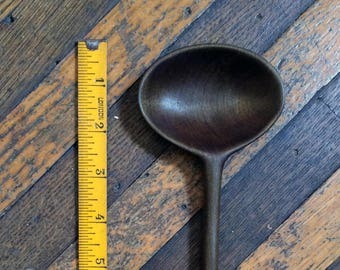 behind the scenes: coffee scoop + baby spoon duo. black walnut. inventory. all natural wood grains. sealed with food-safe mineral oil + beeswax. 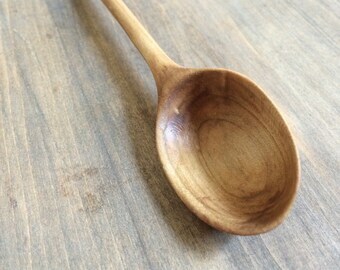 carving tools + curly maple mixing/serving spoon, in progress. 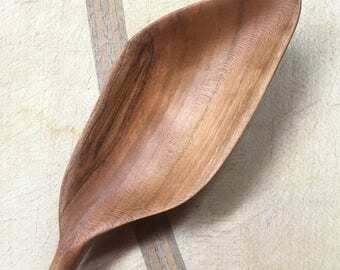 ash baby spoon, in progress. 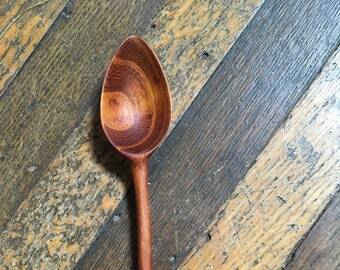 Just finished this osage orange spoon for a custom order. take a look. i'd love to make you something. hi! i'm maggie. engineer by degree. apprentice carpenter by day. woodworker at every opportunity. i grew up tinkering with my dad in his workshop and, as the saying goes, the apple doesn't fall far from the tree. needless to say, i've amassed my own collection of tools & finally have a workshop to call my own. I love nothing more than losing myself for hours (or days) amidst a pile of wood chips & sawdust. which brings me here, ala apple doesn't fall. all of my work is hand-crafted using a mix of hand & power tools...from a variety of chisels to my prized antique delta bandsaw, and everything in between. each piece is sanded down, buffed and sealed with a mineral oil/beeswax (food-safe) finish. in addition to what's here, i make spoons, scoops, knives, forks, sporks, spatulas, muddlers & boards (in all shapes, sizes, woods + engraving/inlay options), and am always open to custom orders & new ideas. each piece is one of a kind...and always a little difficult to part with. I love what I do and I take great care in the making of each of my pieces. Likewise, I do my best in representing them accurately in each listing. If you are unsure of sizing, coloring, or about anything in the description or photos, please ask. I try to respond as quickly as possible to questions and encourage you to ask before ordering. That being said, I tell all of my customers to please let me be the first to know if anything is other than expected when it arrives. Depending on the circumstances, I'm sure we can come to an agreement! Bottom line, I want you to enjoy using my work, as much as I enjoy making it. Thanks for your understanding, and for your support! Payment must be made, in-full, prior to production.